Scroll down to learn about fashion brand names, fashion designs, fashion magazines, and all things fashion. Here is a visual list of tools, textiles, wearable art, and more, from bygone times to the present day, and from all over the world. 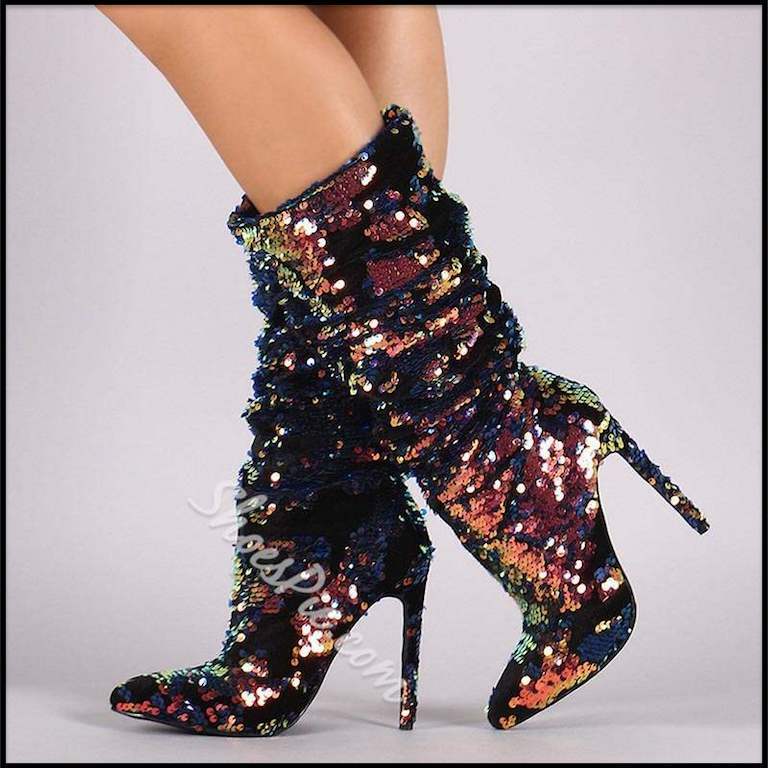 Scroll further down for related links to fashion schools Near You, Fashion Brand outlet stores Near You, and Free sewing patterns. 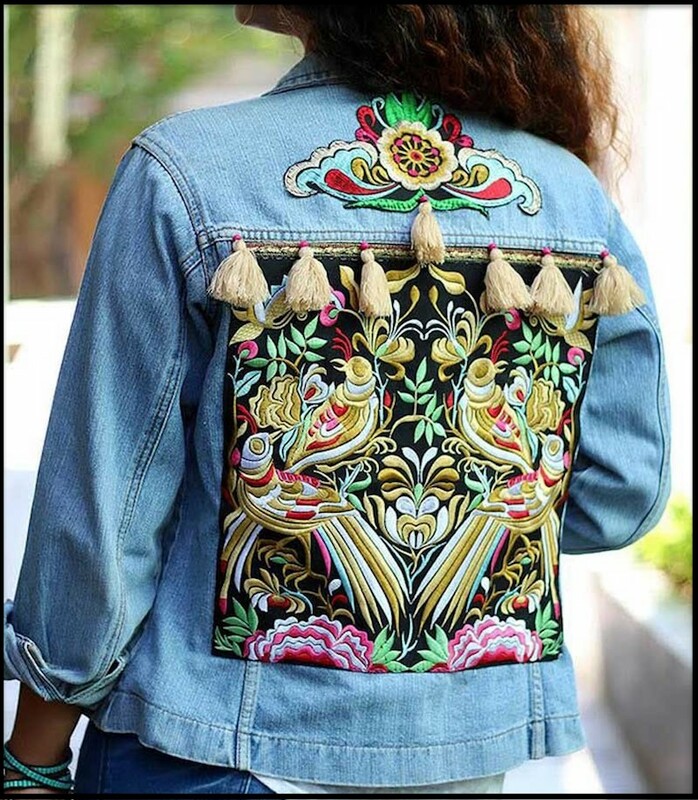 IAEDRYUN: A short jacket with ample embroidery, originally from western India. IKAT: A manual weaving style that originated in Southeast Asia. 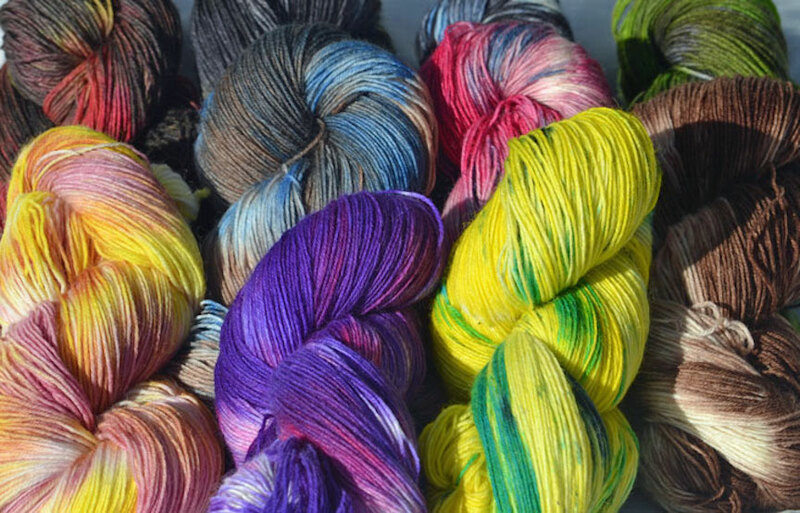 It involves dyeing fibers before the fabric is manufactured. 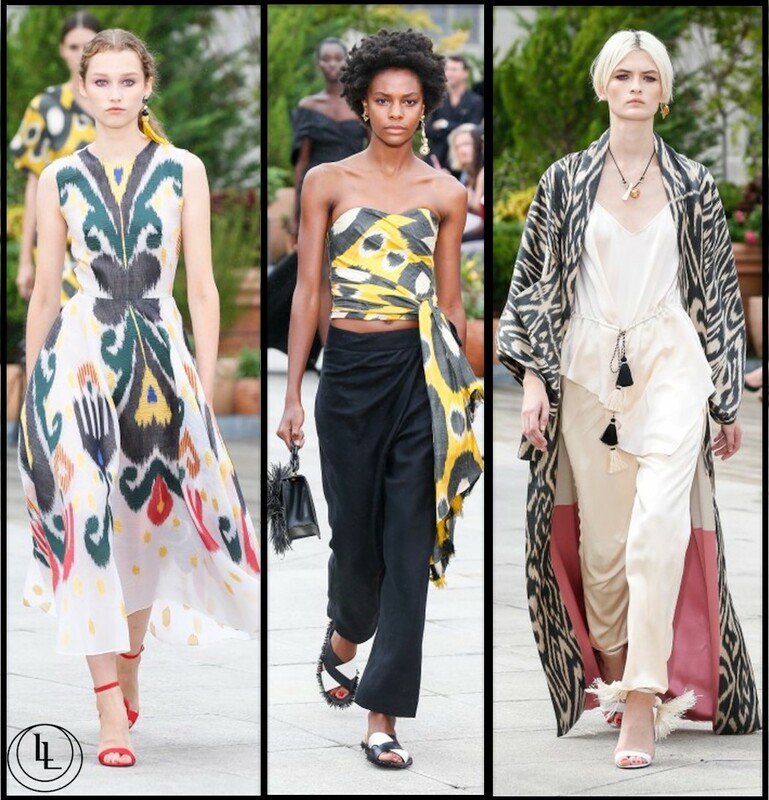 Shown below, ikat print outfits by Oscar de la Renta. ILLUSION: A sheer silk or nylon netted fabric, typically used for bridal wear and skating costumes. 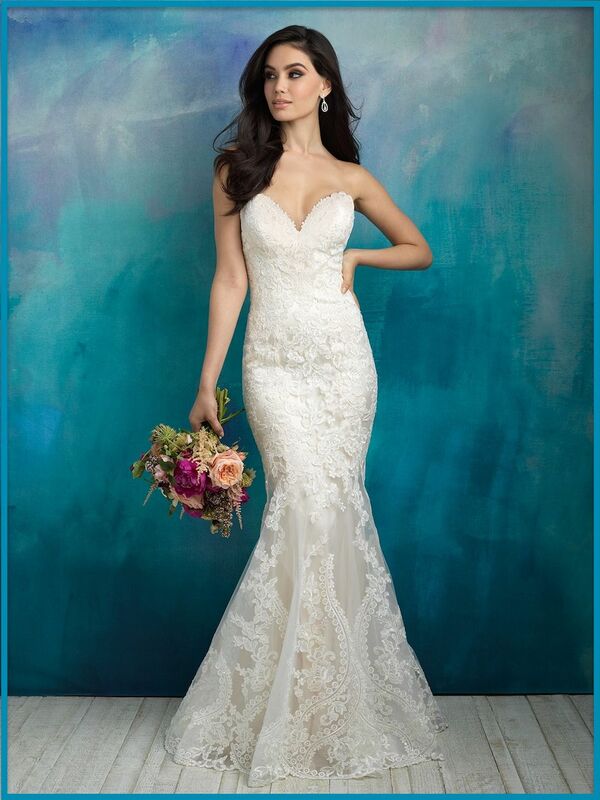 Below, this model wears a wedding dress with an illusion neckline. IMBERLINE: A woven fabric featuring colored stripes and gold thread, often used in curtains. 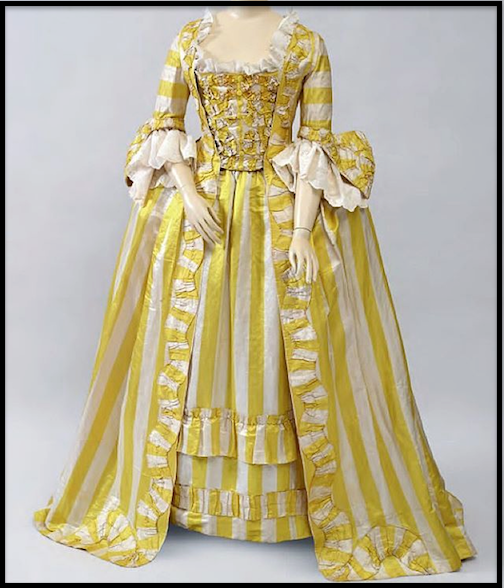 Shown below, an 18th century imberline dress. 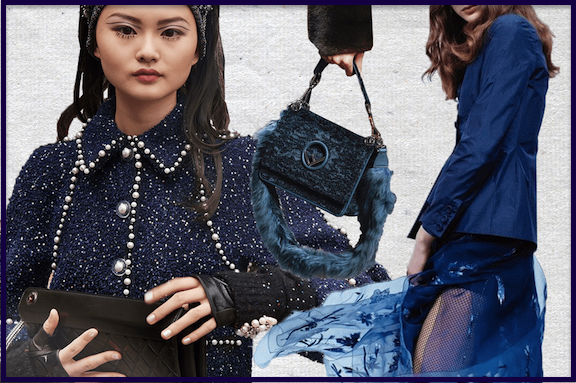 INDIGO: A synthetic, dark blueish fabric dye, originally derived from the indigo plant. INGRAIN: Yarn that is spun from a combination of different fibers, resulting in irregular colors and textures. INSEAM: The seam on the inner part of a pant leg, measured from the crotch to the hem. INSERTED POCKET: A pouch stitched inside the garment, and attached to a straight seam. 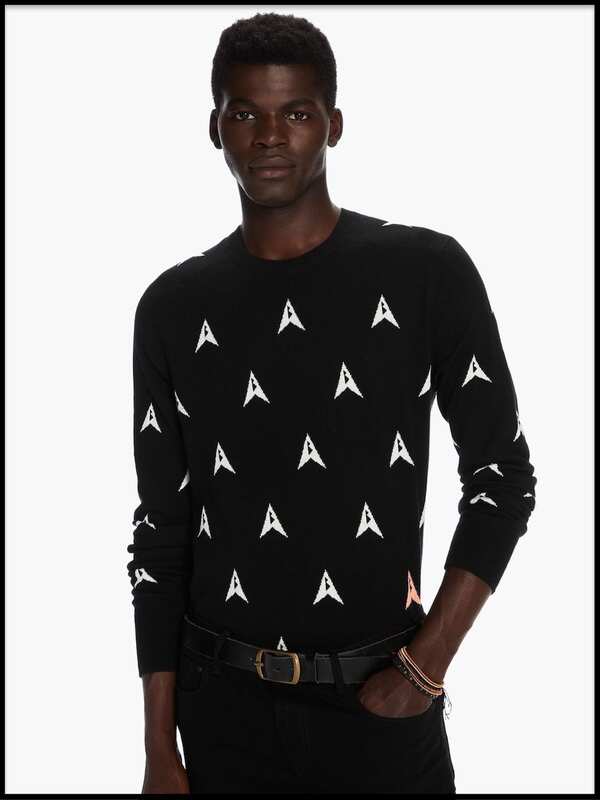 INTARSIA: A knit fabric with colorful geometric designs appearing on certain parts of the garment. INTERFACING AND INTERLINING: The fabric used between the inner and outer layers of a garment, to enhance warmth, strength, shape, and/or appearance. INTERLOCK: A double-face, closely knit rib fabric. Shown below, an asymmetrical interlock dress. 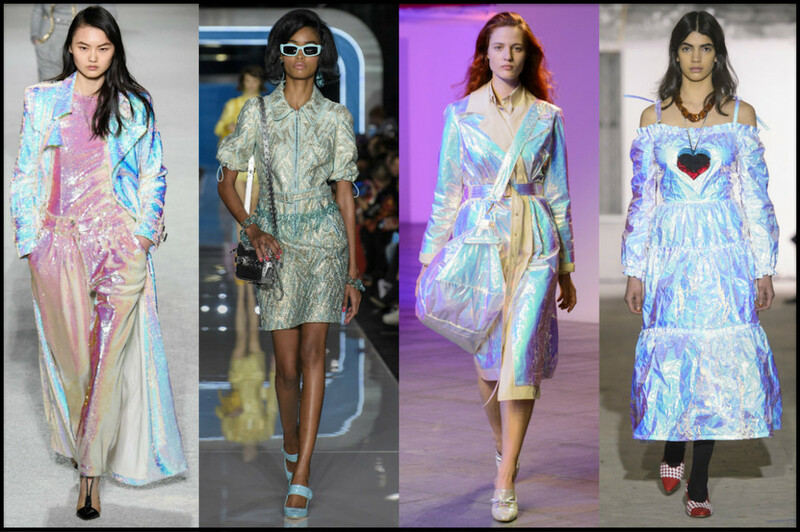 IRIDESCENT: The quality of a fabric that changes color with different viewing angles. IRISH LACE: Refers to any lace fabric made in Ireland. IRISH LINEN: A fine fabric woven in Ireland from pure flax yarn. 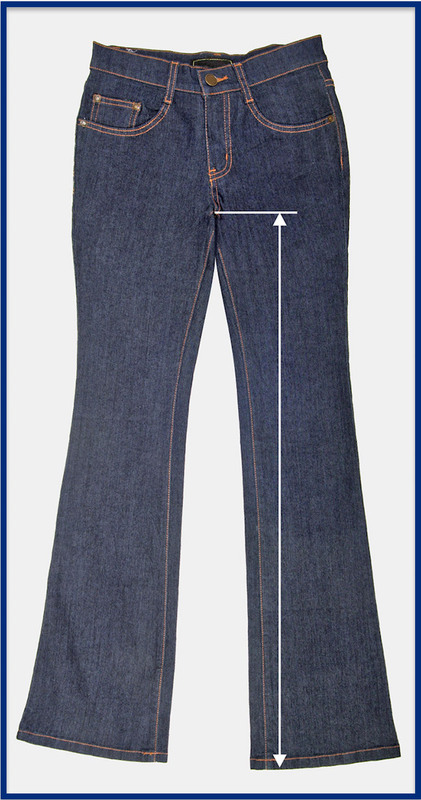 IRREGULAR HEMLINE: A hemline measuring different lengths from the waistline. For instance, a dress can be shorter in the front and longer at the back. 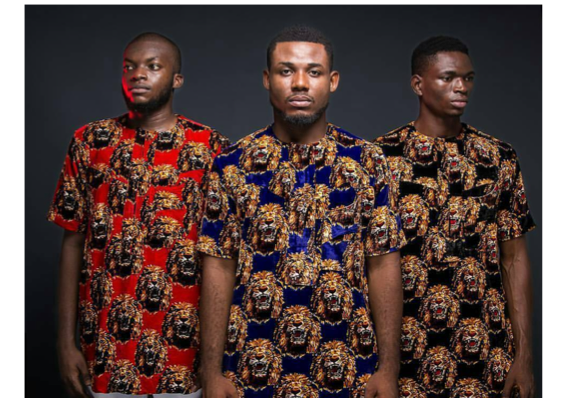 ISIAGU: A dashiki-like pullover shirt with a particular fabric print pattern, worn by the Igbo people. Isiagu literally means "lion head." ITALIAN HEEL: A type of long, thin high heel on certain women's shoes. Also known as a Stiletto heel. 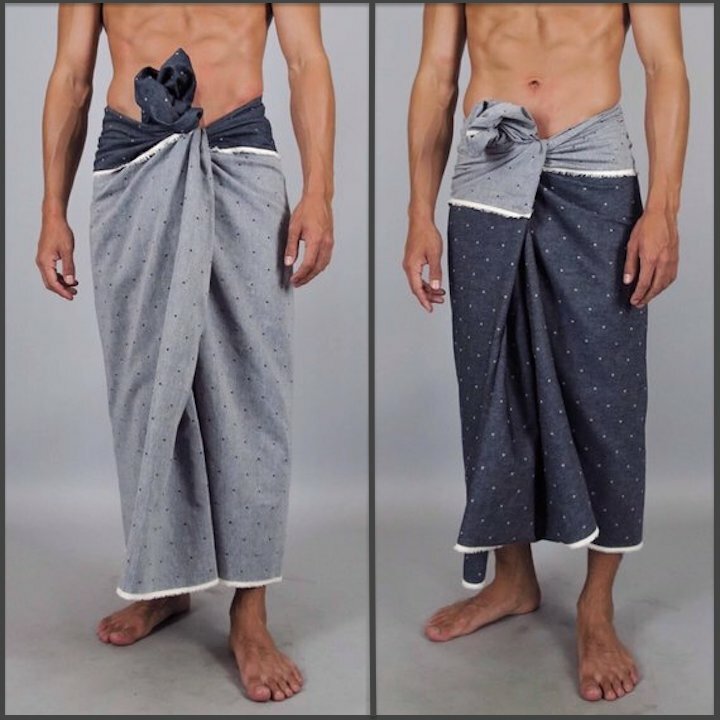 IZAR: A type of drawstring trousers, typically worn by Muslim men. 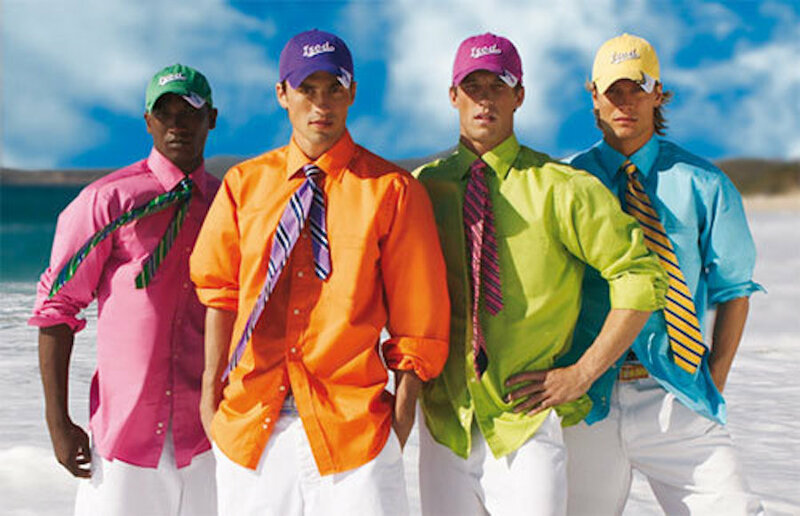 IZOD: An American fashion brand. 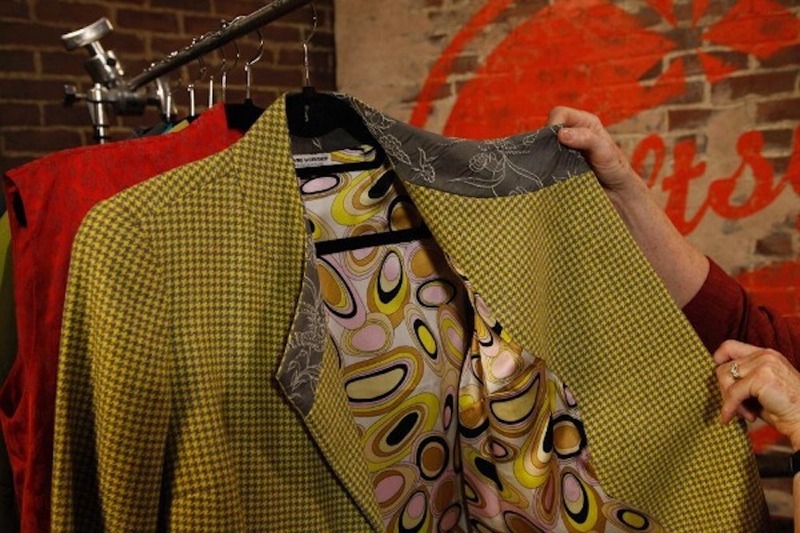 Learn more about Fashion Trends and every Fashion Brand at budget-friendly Fashion Schools Near You. FACTORY OUTLETS IN EVERY STATE features a detailed list of outlet stores with discounted prices on almost every popular Fashion Brand.